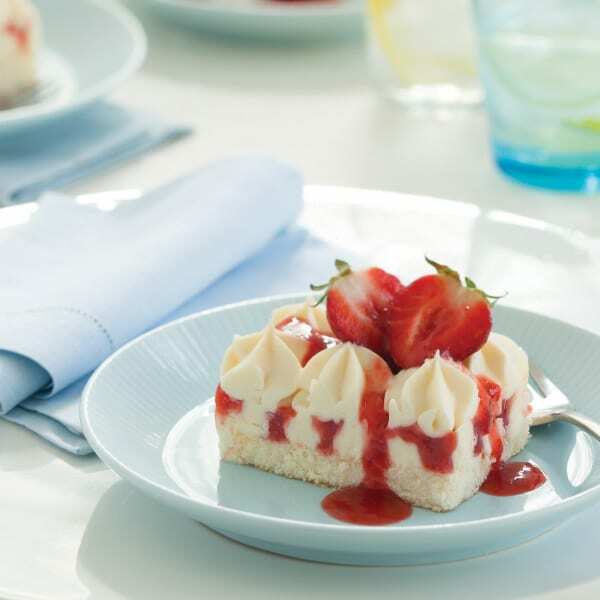 Sara Lee's Strawberry French Cream Cheesecake will melt in your mouth! 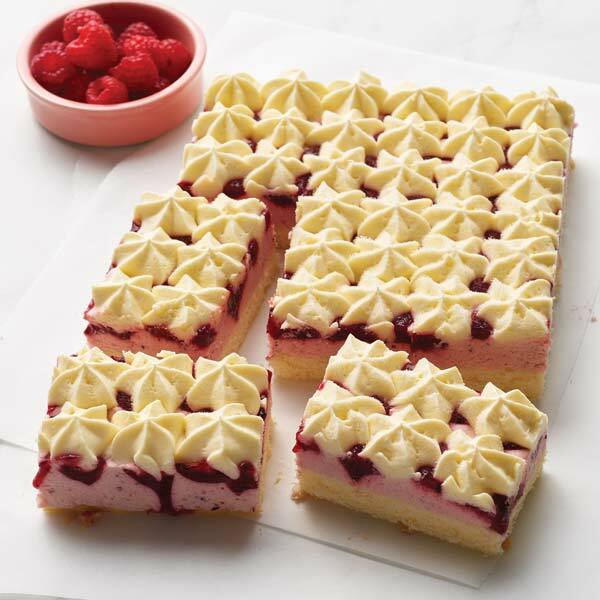 A light crumb base is topped with a layer of smooth, creamy cheesecake and a delicious strawberry flood which is complimented with fresh cream rosettes. 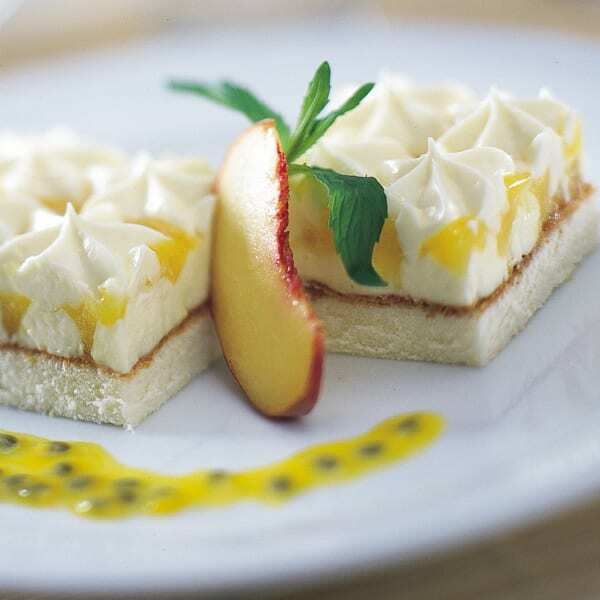 A favourite for every dessert lover. 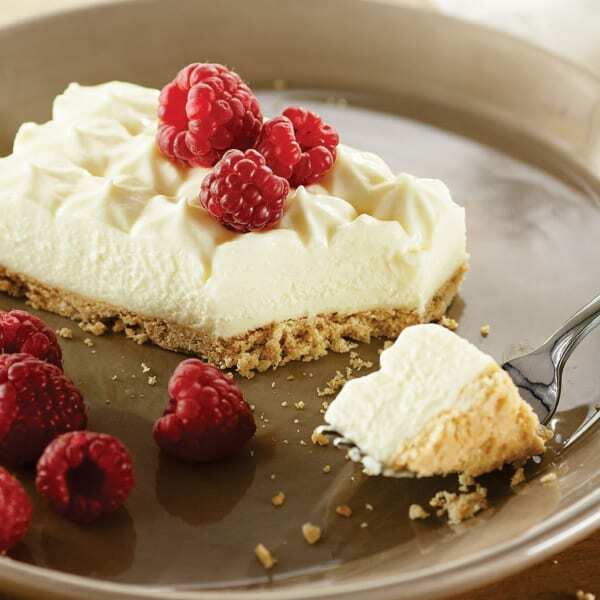 Present Sara Lee Strawberry French Cream Cheesecake as is to the table or cut into portions and serve with a simple garnish. Cream, sugar, strawberries (17%), neufchatel cheese (15%) [milk, cream, salt, vegetable gum (410), lactic acid, starter culture], water, wheat flour, margarine [vegetable oil, water, salt, milk solids, emulsifiers (vegetable - 471, 472c), antioxidant (310), natural flavour, natural colour (carotene)], glucose syrup, lemon juice (from concentrate), thickeners (1412, 1422), rolled oats, gelatine, egg, natural vanilla flavour, emulsifiers (vegetable - 477, 471, 475), vegetable gums (415, 405, 406, 407), mineral salt (508), raising agents (450, sodium bicarbonate), cinnamon, citric acid, salt, natural colour (carmine).